Only ONE competitions to go ! Please support otherwise these events will not be viable and WL SJ will disappear. Well done Ch H S – who have supported nearly every competition. Also well done to Aberconwy – Class 1 and Tanatside/Dolgellau (both small Branches) in Class 2. Please support the Final 3.3.18 run by Ch H N – make it a competition. Congratulations to one of our Area 5 Senior Boys – Toby Johnson from East Cheshire, who has been selected to represent Great Britain in the USA this July for the International Pony Club Tetrathlon Competition. Toby underwent a gruelling selection process and is one of only 4 boys to be selected. Area 5 has held a series of 3 triathlons taking place in October 2017, January 2018 and February 2018. Tankards, goblets and cups were presented to the individual of each class who had collected the highest number of points over the season. Competitors who entered all three triathlons also took home an Easter egg! 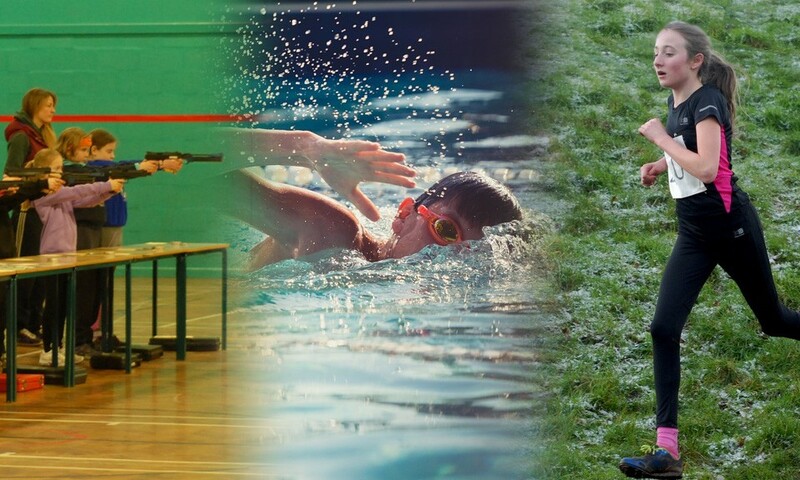 Ellesmere College was the venue for our final competition in the Area 5 Trio of Triathlons and the qualifier for the National Winter Triathlon Championships. 73 competitors across all classes took part – with pony club ages ranging from 5 through 20! We had a fantastic day with some brilliant results! The committee would like to say a huge thank you to everyone who helped throughout the day along with all those competitors! Caspar Kissane (F&D) achieved Best Run. Henry Bates (WWW) with Best Run, Swim and Shoot!!! £15 per session, cheque payable to Area 5 of the Pony Club. 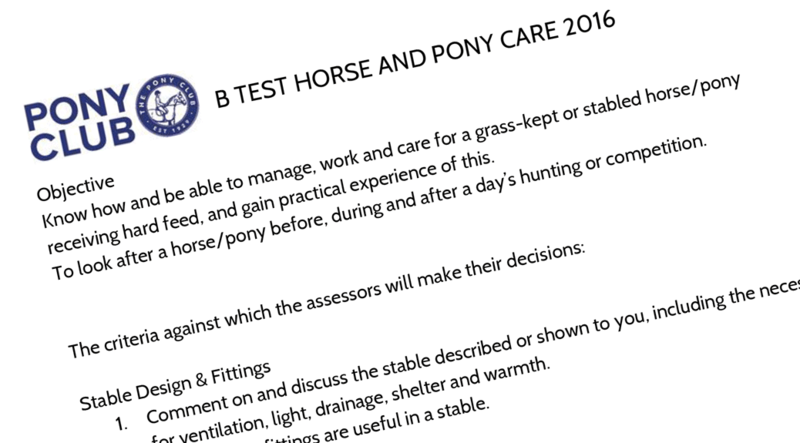 Nomination form on Pony Club website. Apart from Class 1a, the start times are for guidance only. Please note the warm up arena will have to be reviewed if there is a hard frost! Thanks and looking forward to a good day on Sunday.